"I Think I Can...I Think I Can..."
The temperature remains below freezing most days, now, and major snow is overdue. The sunlight is waning, too ― we’re working our way down to less than four hours of it next month. With all of the crises facing human beings right now, we thank you for remembering the many individual crises we are working to heal in this far-flung part of the world. As you’ll read below, we suffered a minor disaster, but it was one for which we were prepared, thanks to the kindness of good people like you. Thank you so much for your financial help and your prayers! We need you now, more than ever. 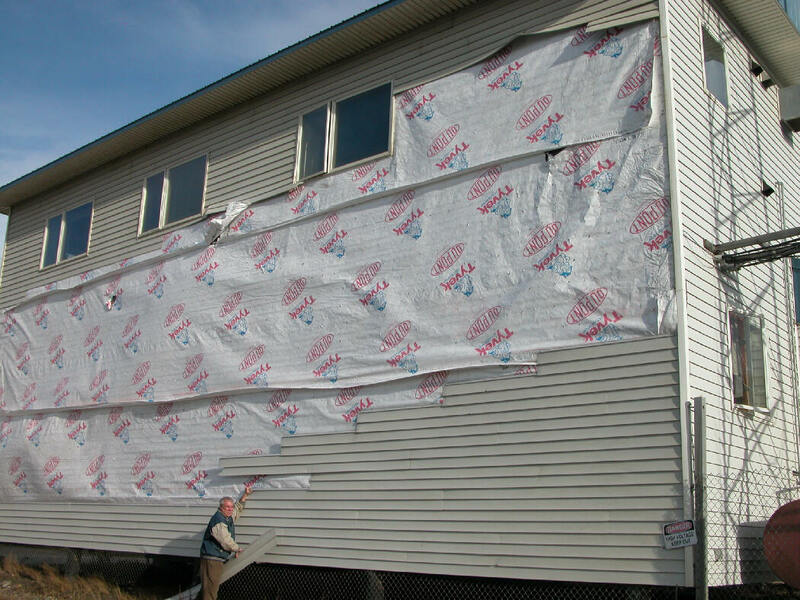 TAKING SIDES: (left) General manager Ric Schmidt examines the west wall of the KNOM studio building, its siding ripped off by winds estimated at 85 to 90 MPH. Fortunately, insurance will cover all but $1,000 of the cost of repair.. Forecasters called the storm a “once in 30 years” event. Packing a 10-foot surge with additional 10-foot breakers, the storm washed out the road to our transmitter, as well as a quarter-mile of power lines. Several villages suffered beach erosion. Several were under water. There was plenty of damage, but no injuries, thanks in part to the two-day warning we were able to broadcast. In places, power was out for 5-1/2 days, and news director Paul Korchin put his department in emergency mode, keeping western Alaskans informed ― and calm ― 24 hours a day. On page two of this issue, you’ll see “the little generator that could,” which kept us on the air. WILLFULLY: Please consider adding KNOM to your will. We prayerfully place all bequests into funds that provide for future major improvements, and protect the mission from unforeseen emergencies. INSPIRATIONAL SPOT: Blessed is the home where God is present and the spirit of Christ rules. Blessed is the home made holy by devotion, where parents and children pray together. Blessed is the home where children grow up and parents do not act like children. Blessed is the home where all show their love in ways that mean the most to those they love. 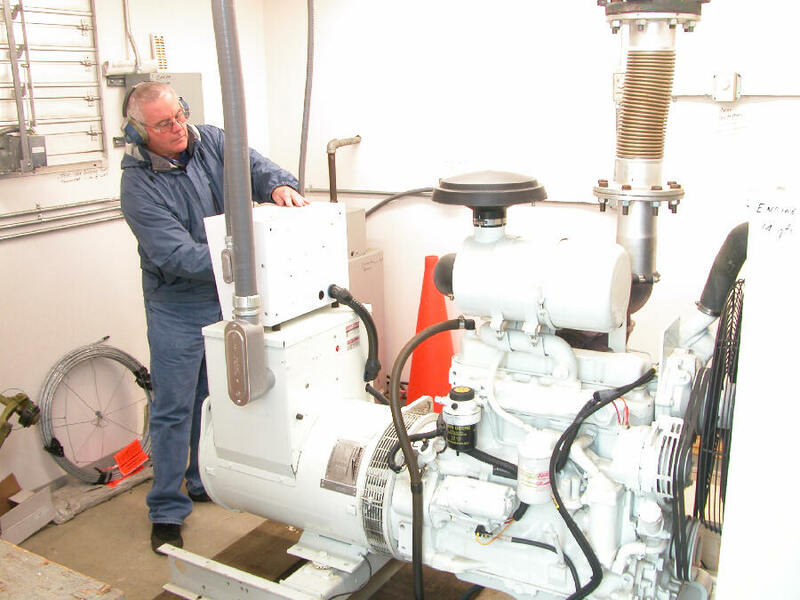 “I THINK I CAN…I THINK I CAN…” (left) KNOM’s Tom Busch examines the transmitter site generator, 82 hours into its marathon 134-hour run. “As this photo was taken, I was very alarmed,” Tom said. “The unit was shuddering violently every couple of seconds, during audio peaks when the transmitter demanded more current. The generator has kept us on the air dozens of times since we installed it in 1998, but this was its longest power outage by far. Thank you to everyone who made its purchase possible! 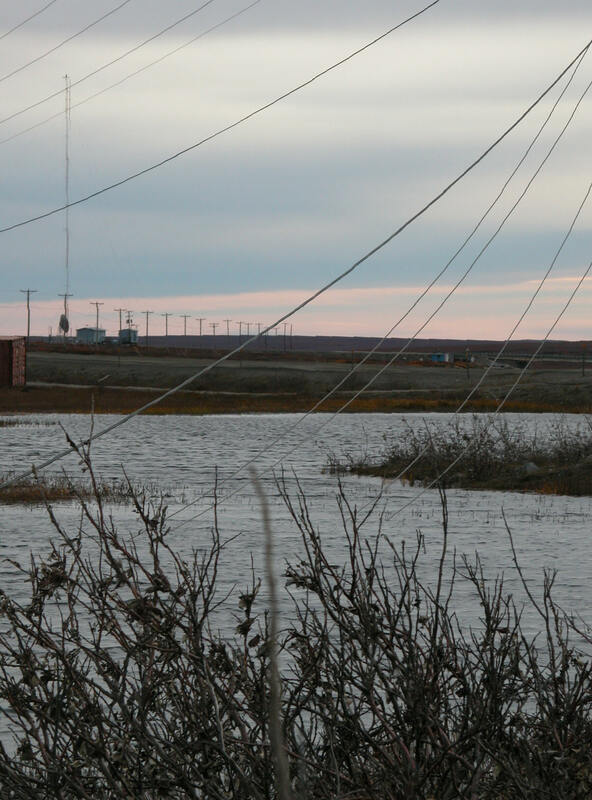 REAL DOWNER: (left) Downed power lines drop onto tundra flooded by seawater a quarter-mile from the KNOM transmitter, visible at left. (Left, below) 4� days after the storm slammed a quarter-mile of utility poles to the ground, a new pole is strung with cable. ON THE SPOT: So far this year, KNOM has broadcast about 31,000 inspirational, and about 31,000 educational spots. You see many of the inspirational ones in this newsletter. The educational spots cover an immense range of topics, such as dental care, prevention of heart disease, domestic violence, child sexual abuse, Alaska Native culture, history and science. Beaming God’s Love to remote Alaskan villages throughout 100,000 square miles, KNOM is the oldest Catholic radio station in the United States, strong thanks to you. INSPIRATIONAL SPOT: The world wants your best. God wants your all. INSPIRATIONAL SPOT: Hell must be something like an eternity of “if onlys.” If only I’d listened. If only I’d spent more time in prayer. If only I’d quit drinking sooner. If only I’d been a better parent. Heaven, on the other hand, is all love, a gift freely given by God. We need to accept that Love and put it to work in our lives here on earth. 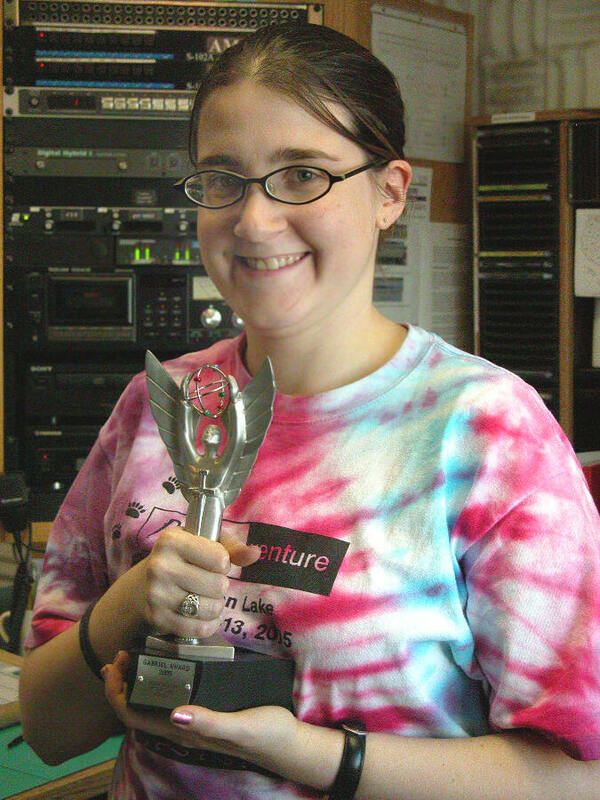 WINGING IT: (left) KNOM volunteer Liz Recchia holds the mission’s newest Gabriel “Radio Station of the Year” Award. It’s among broadcasting’s top national honors. 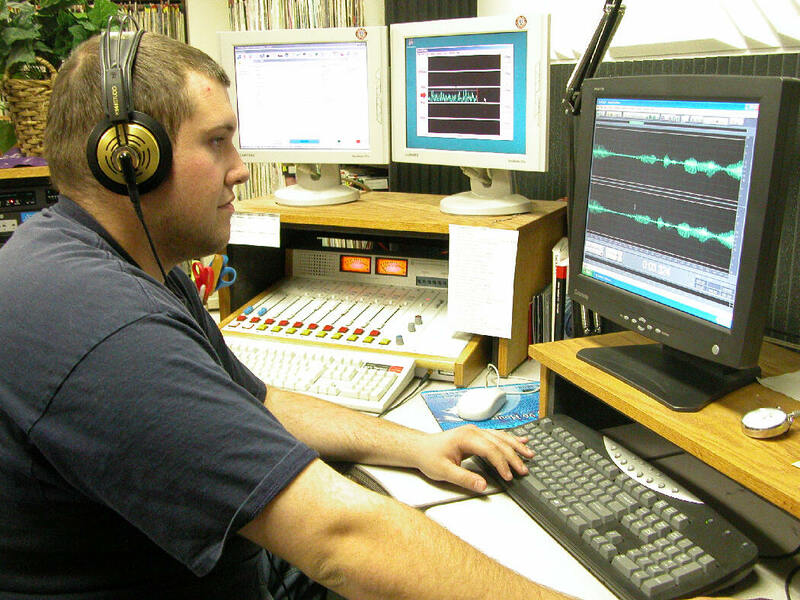 In the award’s 35-year history, KNOM is the only small station, and the only religious station, to receive it. It speaks well of our mission that this is our 13th, and our 11th in a row. On behalf of the staff and all of our benefactors, general manager Ric Schmidt accepted the honor September 24th in Silver Spring, MD. Last year, Liz produced most of our educational spots. In her second volunteer years, she serves as announcer and music director. OUCH! The price of heating oil is up to $3.85/gallon. KNOM’s studio building and the volunteer home are super-insulated, and won’t much be affected. 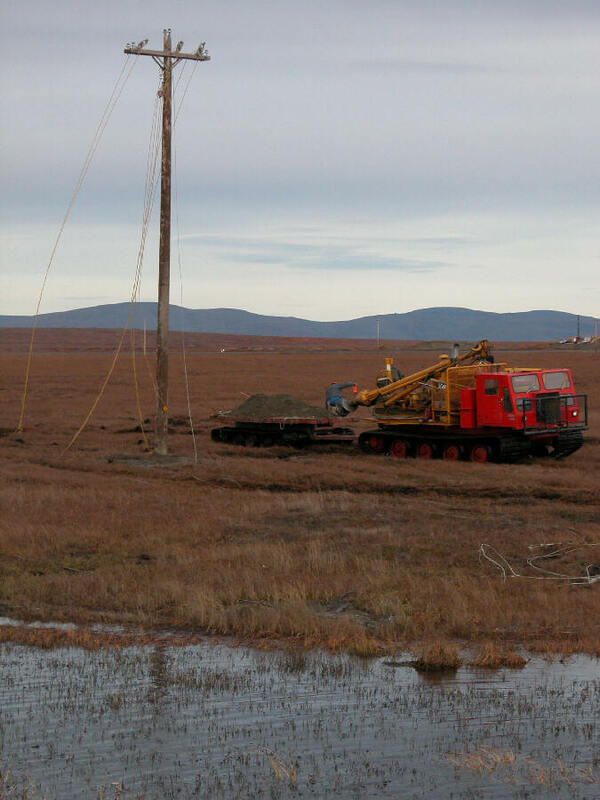 However, since Nome’s power is generated by oil, surcharges have bumped the cost of powering our transmitter from $5,000 up to $6,000 a month. The week that power was down, fueling our emergency generator cost $989. Ouch! PRAYERS: Often, KNOM contributors ask us to pray for spouses and children who have died or have left the faith, for loved ones with chronic or fatal illnesses, and for many other intentions. Please join us in daily praying for everyone in the KNOM family, won’t you? RUMMAGING AROUND: The KNOM volunteer house is 13 years old now, and needs a few touch-ups. The cook stove needs replacing, as does the kitchen linoleum. Recently, the KNOM volunteers held a rummage sale, converting a few odds and ends that have collected over the years into a $500 donation toward the renovation project. ON THE LINKS: There’s a lot to see on KNOM's web site. You'll find an index of every image we’ve published since 1997, a history of KNOM, and much more. Thank you for joining us! INSPIRATIONAL SPOT: Doors in cyberspace. Chat rooms. Virtual reality. Computers can now mimic real life so closely, we might have a tough time figuring out what is real and what is not. God knows that we humans need to learn with our senses. That’s why the Sacrament of the Eucharist is so important. It is not an abstract presence of God. We hold Jesus in our hands. INSPIRATIONAL SPOT: Many people find it easier to weep with those who weep than it is to rejoice with those who rejoice. It’s easier to focus on the negative. Yet, a sure way to greater and growing happiness is to celebrate the good things that come into the lives of others, allow their delight to become your delight. Your life will be enriched when you share in the happiness and good fortune of others. SAFE KIDS: (left) KNOM volunteer production director Eric Guthier edits an educational spot with tips on how to keep children safe. At any one time, KNOM has thirty-two educational spots in rotation. Some are changed daily, some monthly. THIRTY YEARS AGO: In November 1975, winter hit Nome early, setting low temperature records for seven November days, the coldest, -17� F., on November 9th. It was only a taste of what lay ahead. RENEWAL: The paperwork is all signed and submitted, and KNOM has applied to renew its broadcast licenses for the next eight years. We offer special thanks to Washington, DC attorney Chris Ornelas, who handled everything free of charge, and to Chris’ prestigious firm, Wilkinson, Barker, Knauer, LLP, who have been done all of the mission’s legal work since April 1990, all for free. Their contribution to our mission adds up to many tens of thousands of dollars, and our gratitude to these good people is immense and heartfelt. BEATING THE DRUM: Recently, we added a few dozen traditional Eskimo drum songs to our collection, and several listeners called to thank us. At present, approximately 540 different performances are “in the can.” We broadcast one of them every hour. “SNOW” BUSINESS: October 11th brought Nome its first snowfall. There’s more to come! We pause with a prayer as we close for now. That prayer is for you, for those whom you love, and for all of your intentions. This mission depends upon you, and we offer you our most sincere thanks. May God bless you immensely for your kindness to the remote people whom we serve. Copyright © 2005 KNOM. All rights reserved.